The easiest PC transfer software for Windows XP/Vista/ 7/8/8.1/10 & Server 2003/2008/2012, which helps users easily transfer data and application to new PC/OS. Secure and reliable, old PC remains intact, no harm to new PC. A reliable & complete data/application transfer tool for Windows XP/7/8 upgrade to Windows 10. What does Todo PCTrans do? Get a new computer and need to transfer all data and applications along with their settings from the old one? Upgrading your computer from Windows XP to Windows Vista/7/8/10? Transfer files from one PC to another? Migrate data and applications from 32-bit Windows OS to 64-bit Windows OS? No matter which scenario, Todo PCTrans will do the good job. EaseUS Todo PCTrans Professional is an efficient and user-friendly utility that can assist you in migrating applications, data, and settings from an older computer to a newer one or from previous OS to new OS after Windows in-place upgrade, saving you a lot of time and effort in the process. No technical knowledge is required to use EaseUS Todo PCTrans – it’s that very simple. The transfer will not overwrite any of the preinstalled applications on your new machine. – Up-to-date application compatibility list lets you get the latest compatible applications Todo PCTrans can transfer. – Applications may require re-activating on the new PC/OS. – Windows XP/Vista/7/8/8.1/10 & Windows Server 2003/2008/2012 Support. – Backup and restore files, partition, outlook, operating system, etc. EaseUS Todo PCTrans takes all stuff to a new PC, and gets it ready for use. This easy PC transfer tool safely migrates your existing files, file folders, programs, and account over to a new computer. In just one click, make your new PC loaded with everything you need. Instead of manual copy and paste, you can move to a new PC seamlessly. Upgrade to Windows 10? EaseUS Todo PCTrans makes it possible to perform an in-place upgrade in Windows 10 without reinstalling all apps. This PC transfer software can move applications downloaded on the previous computer to a new PC before your Windows 10 update. When the Windows 10 upgrade is done, it automates the configurations of apps on the Windows 10 PC without removing the old versions. To install Windows new updates, everything transferred remains the same as before. Worry about data loss when switching to a new computer or upgrading Windows 10? Have to re-download all apps when you change a PC? Reluctant to create a new account on a new PC? EaseUS PC migration software copies the contents on the one computer, and backs up data, applications, or account along with the personalized settings to another PC. This approach reduces data loss to zero, and allows you to restore everything back when something unexpected occurs. In particular, it creates images of all apps, and makes them available on the new PC. 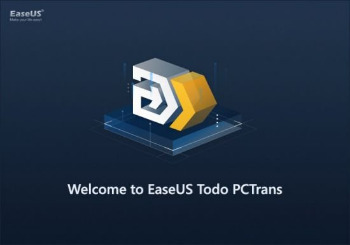 To upgrade your hard drives on an old PC, or replace a damaged disk, EaseUS Todo PCTrans can transfer applications locally between two disks, and move away large programs which take up much disk space, and slow down your PC. It’s widely applied to transfer apps stored on system drive to other disks, and make much room for Windows system. Thus, it speeds up the Windows system running, and keeps your PC working at its best. Make images of files, folders, or software on the previous computer, and transfer to the next one. It also works as a backup.